On my recurrent visits to Sephora, Peter Thomas Ross has always called my attention, especially their 24K Gold Mask (I asked for a little sample and just the fact that has gold in it, was everything). My face type is oily but I've never really had many break outs, until I reached college. It was as if I was going through a delayed puberty phase, the one where pimples just starts coming out of nowhere and you do everything but it does not stop whatsoever. I've tried some products now and then for acne but it really did not seem to work properly. As of lately I've done the vampire facial, or better known as the Kim K facial (I'll write about this in a future post). Long story short, this facial did help a lot with just occasional break outs coming out, but one thing that I cannot fight against are the period break outs. The ones that you will get no matter what when your period is about to come. 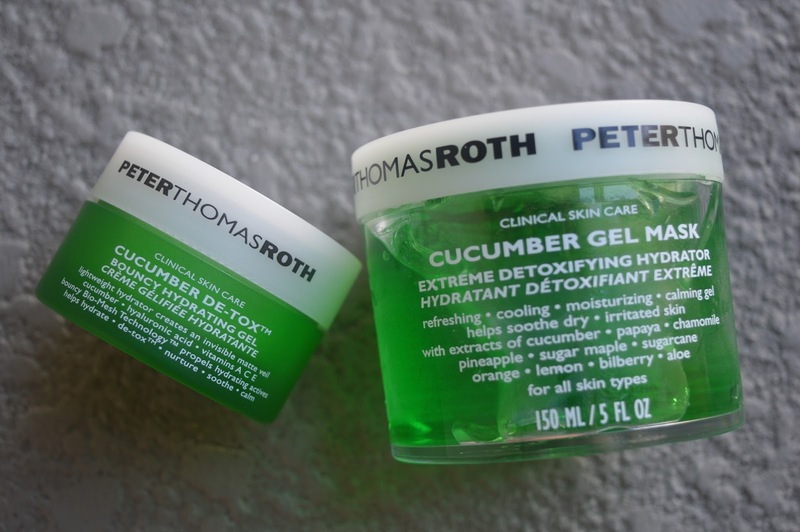 For these times, I really needed something that would keep in control of the skin irritation and I am so extremely thankful for the Cucumber De-tox collection. It is perfect if you are looking, as the name itself implies, to detoxify your skin out of impurities and to give that needed moisture. My favourite color is green so it gave me more reasons to go for this product, that and the fact that it helps soothe irritation from break outs, cools and detoxifies, but mostly because it was green though. I suggest keeping in inside the fridge so when you need to use it and apply to the skin, it is SO fresh and it feels amazing. If I have a break out and I use this mask, it really does help it calm down. It also works well for sun exposure irritation and other related skin issues. I use it three times a week mostly with cucumbers on my eyes too. Overall, the skin feels really good after usage of the mask, you could really feel that your skin has been cleaned thoroughly. 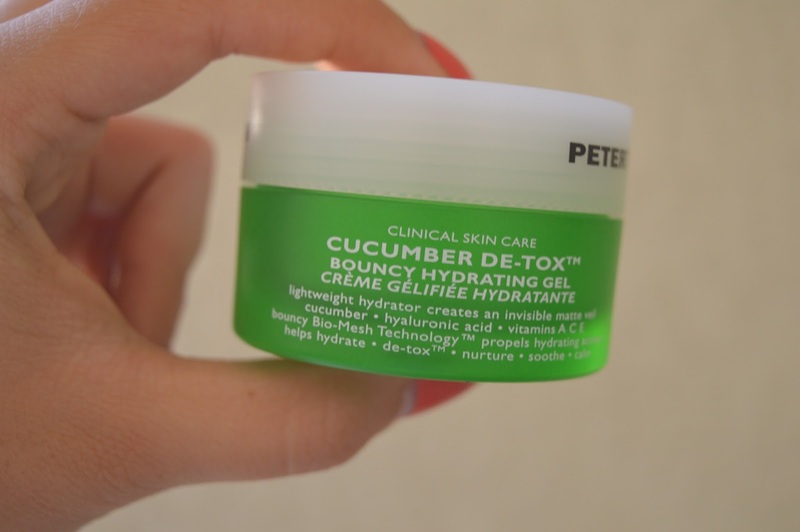 I follow the facial cleanse treatment with the cucumber de-tox gel cream. 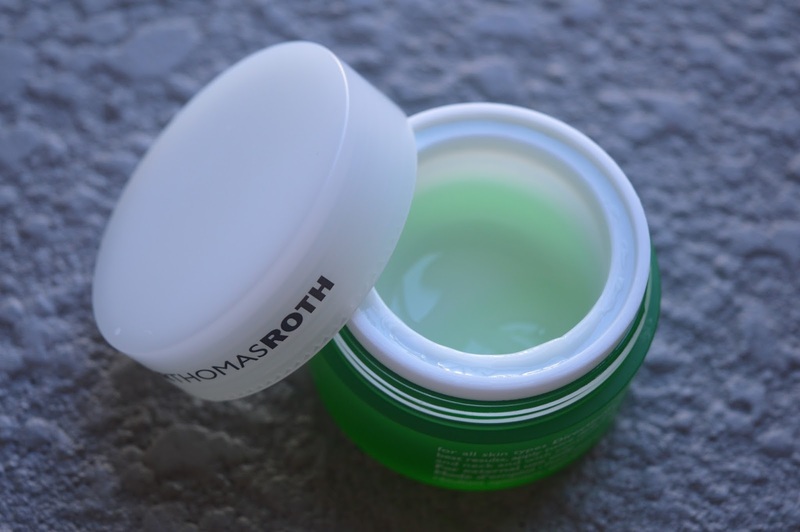 This cream is so cool because after you use, it goes back as if you've never touched it (it's gel after all) and me as a perfectionist, this little element is so satisfying. This gives you moisture to your skin, if you do not have the mask, this will do but if you have both, you can use this right after the mask. This cream does its job well, it gives you the right amount of moisture to the skin. 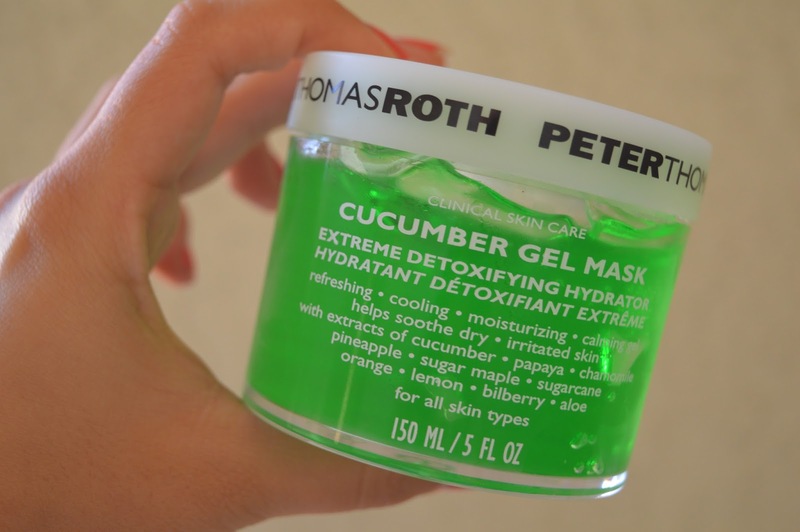 Whenever I put it on, I can feel that my skin is being hydrated and healthy overall. So here I go again. 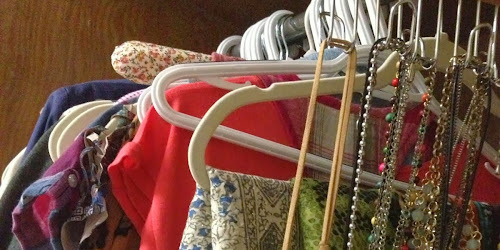 Getting MIA for the past four months? So for a little bit of an update, this is what happened in these last few months. I was supposed to graduate in May but then I had some classes that I needed to take over the summer like my internship (for our university it is a class). Finance was supposed to be one of them but the class was full so I had to wait for the next semester. Since my family lives in Miami, I came here for the time being. I will take an online class for Finance so until December I am staying around Florida :) Over the summer was quite interesting, having the beach and all you know. Even thought I had online classes, I had plenty of time to read books! So if I have to pick one thing that was my favorite to do over the summer it would be this, finally having the time to read books. So far I've finished three books, currently going to the 4th. Anyways, that is a little bit of what happened/is happening right now. I've had some pretty interesting experiences that I will be sharing in the blog soon so I hope you stick around :) Have an awesome day! !